I am really loving this new mega catchy track from LA indie band The One AM Radio. 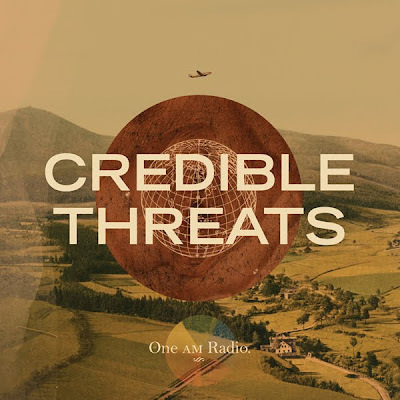 The song titled 'Credible Threats' is from their new 7" of the same name released last week. It also comes with a great retro style 3D music video and the glasses to watch it. Everyone else has jumped on this 3D bandwagon lately, why not music vids! Love that they went old-school with it too.